Face it – clutter happens anywhere, and it happens to you, too. You just can’t resist collecting certain things; whether it had sentimental value or it was expensive so you feel obligated to keep it – either way you’re creating clutter with things you haven’t touched in months or even years. 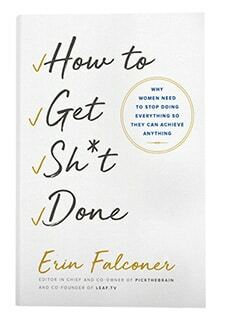 In reality, you don’t need all that stuff – you already read that book and we’re pretty sure you’ll never going to wear that pair of shoes (nope, not even on a special occasion). 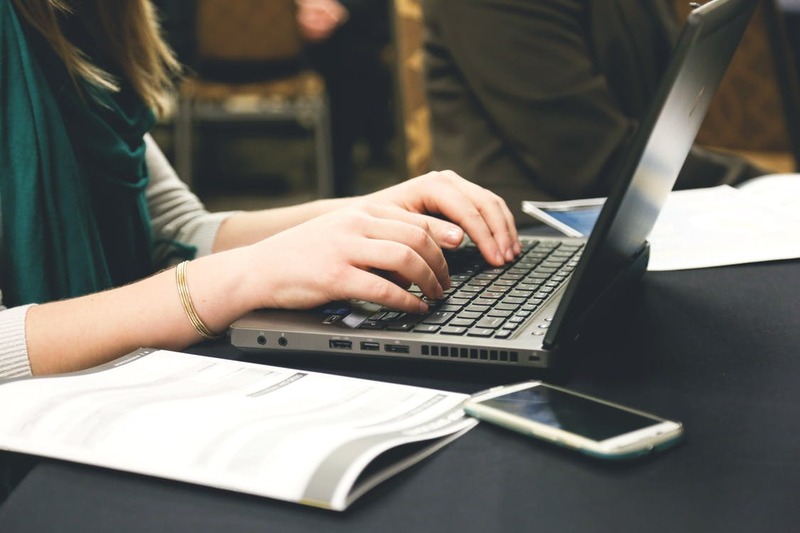 Recently there’s been a rise in popularity of ways of increasing productivity – and it’s no wonder because entrepreneurs and business owner all around are looking for ways to get things done as quickly and as effectively as possible. There are many methods, from relying on technology to not snoozing your alarm in the morning. But that’s just half of the solution. We have to look around in order to make things better for us and increase productivity. It’s true – many researchers have proven that physical clutter at home or at the workplace affects productivity in a negative way. 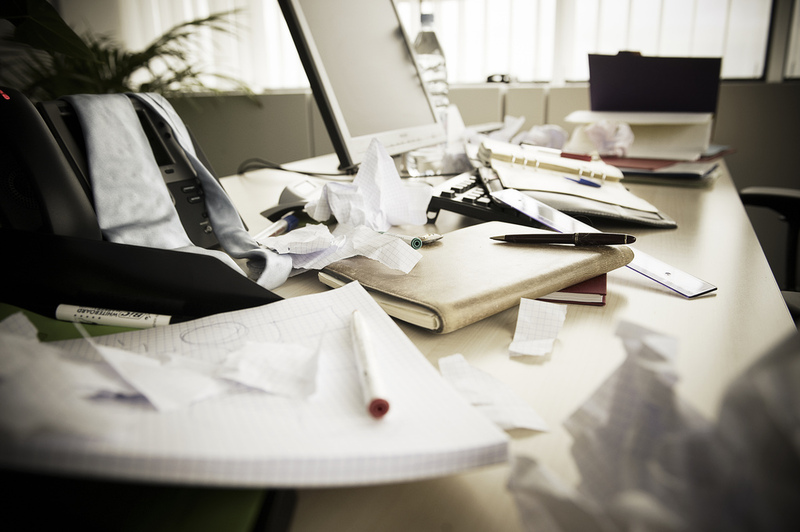 A cluttered desk or office can negatively affect your mood, resilience, and ability to work productively, and disorder creates stress which can cause low moods. Very cluttered homes can provoke emotional and mental distress, mainly because its occupants feel like they have no control over their spaces and therefore lives. Your ability to focus is restricted in cluttered environments, as well as your brain’s ability to process information. Clutter makes you distracted and unable to process information as efficiently as you do in an uncluttered, organized, and serene environment. Simply put – clutter competes for your attention, and it may be exhausting to fight and resist it all the time, which increases your annoyance, all the while wearing your mental resources down – ultimately making you frustrated. And of course, there’s nothing more unproductive than a frustrated worker. Unaddressed clutter can spiral into mental and emotional discontent, as your self-esteem is spiraling down. The effort required to address clutter seems burdensome, but if you avoid facing the clutter, chances are you’ll increase the mess. As it builds, so does your stress levels build; Feeling consistently unproductive negates one of your fundamental psychological needs: competence, a major factor of self-esteem. Think about your workspace. How many things are piled up on your desk and around you? All those things are the cause of your brain having to work overtime during work day every time you need to focus. As long as you have a messy desk, your productivity won’t see any positive changes. Take some time of the day, skip a few lunches and stay a little longer to dedicate your time to organize your desk better. The main thing is to go through everything you don’t need anymore and stop holding on to it. 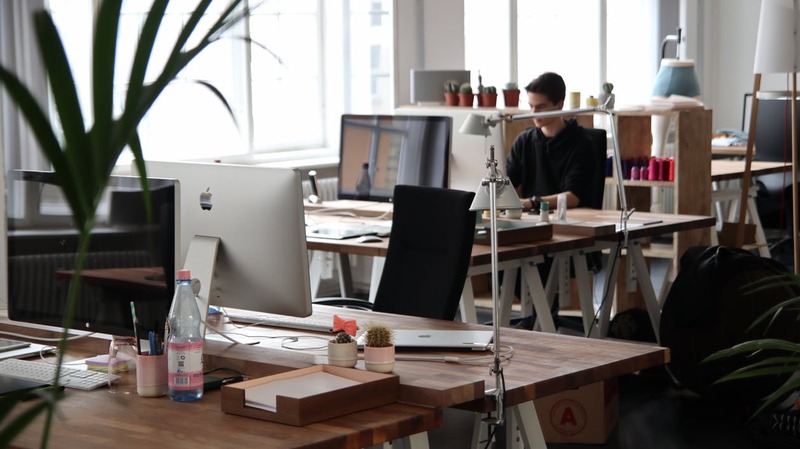 You will be relieved at how much better your desk will look – which will also give you a motivation boost along with the feeling of accomplishment. Clutter isn’t only physical – it can be digital, too. That implies to your computer, phone, and tablet, anything digital you use on a daily basis. Your files, notifications, or better yet anything that comes with a “ping” sound is competing for your attention and you need to take care of it immediately. Your work computer has to be functional and easy to use. How can you be productive if you have to dig through a mountain of files to find what you need? When your brain has too much on its plate, it splits its power up and it results in you doing your job poorly or taking too much time to do it properly. Forget about your phone and office, focus on your mind. Your mind can also get cluttered and you have to find ways to get rid of the extra information you don’t need. We often hold onto lists, information, and problems – uselessly crowding our brains with too much thought. Mental clutter is often caused when you clear physical clutter, but don’t necessarily deal with it. This couldn’t be truer for business owners who find themselves multitasking endlessly. For solving this problem try having a mental dump every few days. This translates into creating a to-do list each morning and prioritizing it. It’s impossible to do everything in one day – that’s why you need to keep everything contained and deal with it only when you are ready. Ultimately – it all comes from home. An uncluttered home is the best way to start clearing your mind and improving your mental health. It may sound daunting at first, but there are many methods for uncluttering a home which you can take on. You can start room by room, or clear out by categories, whichever you prefer. Sort things into ones you’re going to sell, give away and throw out. Don’t worry about piling things up in your front yard, Pink Junk is the best way to get rid of them, and recycle them, too. Besides, when you sell the things you don’t need, you can earn an extra bit of cash for something like a vacation or a new car. Staying productive today is one of the main priorities of our society. Clutter, whether physical or digital, is something you’ll always have to deal with, but it can be controlled. By taking a few extra minutes out of our day to organize ourselves physically and mentally, we will find ourselves making up for those minutes when we become more productive.